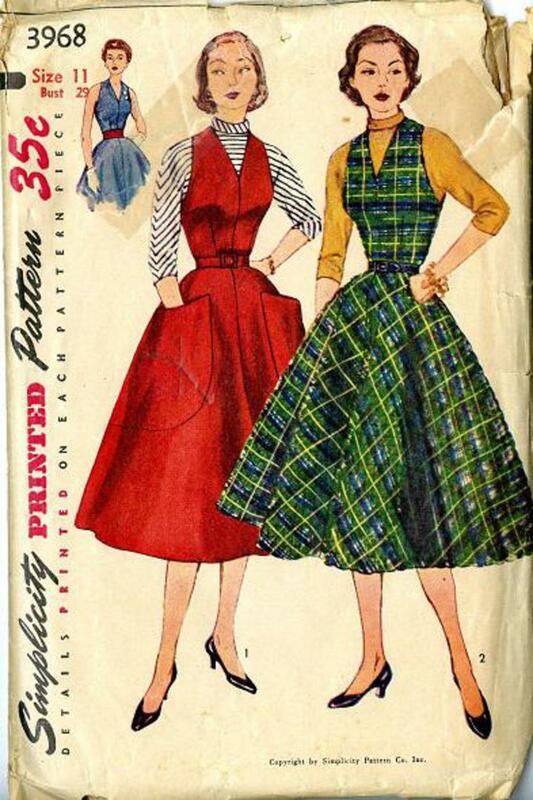 1951 Simplicity #3968 vintage sewing pattern, junior misses' jumper, blouse and dress. 'Simple to Make', the blouse which may be worn with dress or jumper, has a turtle-neck collar and three quarter length kimono sleeves. Sleeveless jumper or dress has a deep V shaped front neckline. Skirt is four gored, features deep patch pockets on skirt over the hipline. Original pc. A and B missing, replacements included.